In another blow to savers who have suffered from negative real yields in short-term treasuries since the financial crisis, the long-term real yields have now moved deeper into negative territory. The chart below shows that the 10-year zero coupon treasury yield adjusted for inflation expectations hit another record low (-0.89%). It is a bit surprising that the mass media is ignoring this development. 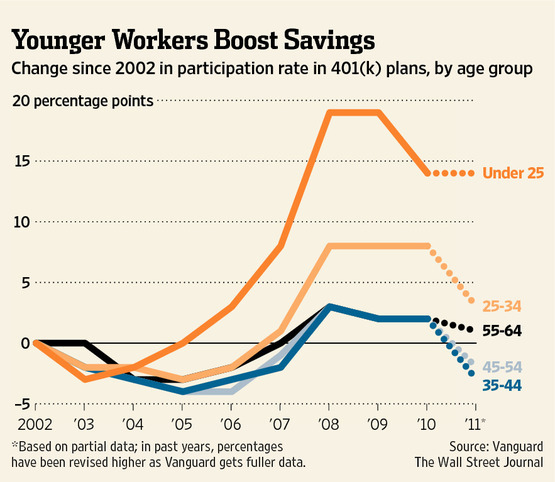 After all it amounts to a tax on American savers - even those willing to lock their savings in treasuries for many years. And this is taking place at a time when the younger workers in the US are saving much more than they used to. For decades American consumers have been criticized for not saving enough, and now that the trend has been reversed, they are being penalized for doing so. Update: Investment grade industrial companies' bonds real yield is also at record lows. So even savers who are willing to take some credit risk will be getting almost no interest after inflation is taken into account.